A Japanese Teacher Forum in Beijing on December 12, 2017 was an opportunity to honor Japanese teachers in China, and also gave them a forum for networking. 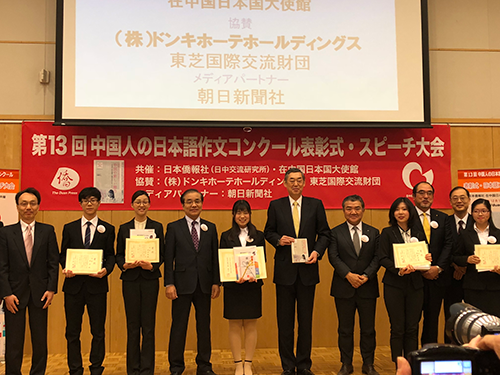 It was held simultaneously with the award ceremony for the annual Japanese-language essay contest for Chinese students. The Japanese teachers’ diaries have been also compiled in a book, “My Method of Teaching How to Write Essays in Japanese,” as a reference for the many teachers of Japanese language and writing skills in China.